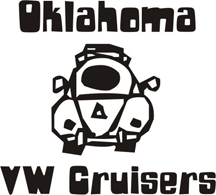 Oklahoma Vw Cruisers • TECH EVENT : FI to Carbs conversion! Ill be putting carbs on my squareback this saturday, i hope. I ordered some and they MIGHT be in friday. SO if anyone wants to get their learn on, look here for updates on what time it goes down. Re: TECH EVENT : FI to Carbs conversion! Does this mean you are going to give me the fi parts? Cool i'll bring some beer as well. I don't know about learning but I'm in on the free beer. Hahaha, sounds good. You guys at the shilo right now? Carbs are in, FI is off. Gotta do fuel lines in the morn and see what happends! Sorry I couldnt be there I was in Tulsa till late this evening... how has it been going? Good! just trying to move some stuff!